Vincent Cassel, 51 and Tina Kunakey, 21, are another one of those extraordinary couples that remind us age is nothing but a number. With 30 years between them, they still find enough reasons to be together and make their relationship work. Last week, they appeared together on the August edition cover of Vanity Fair Italia and looked stunning. Their relationship first caught public attention in August 2015 when camera found them holidaying in Ibiza. In the magazine interview, Cassel recalled he was a little stunned when he realized how young Kunakey was. Immediately, he asked if he could meet her father. At the time, he said he had no idea what he was doing, but he felt a strong urge to be with her. It turns out the meeting with her father went well, and Cassel eventually began a relationship with the young Kunakey. She was not even expecting the marriage proposal at the time it came. When he asked if I would marry him, he literally caught me off guard. We never discussed this before. Cassel was previously married to Italian actress Monica Bellucci and has two children with her. The couple split in 2013. It seemed to me that I did everything I had to do: I was married and brought up two beautiful daughters. I decided to be free, and bachelorhood was really fun. However, after a while, I felt empty. I did not even expect to meet someone, it happened suddenly. And this girl is much younger than me. Reactions to the Cassel and Kunakey relationship are very mixed. 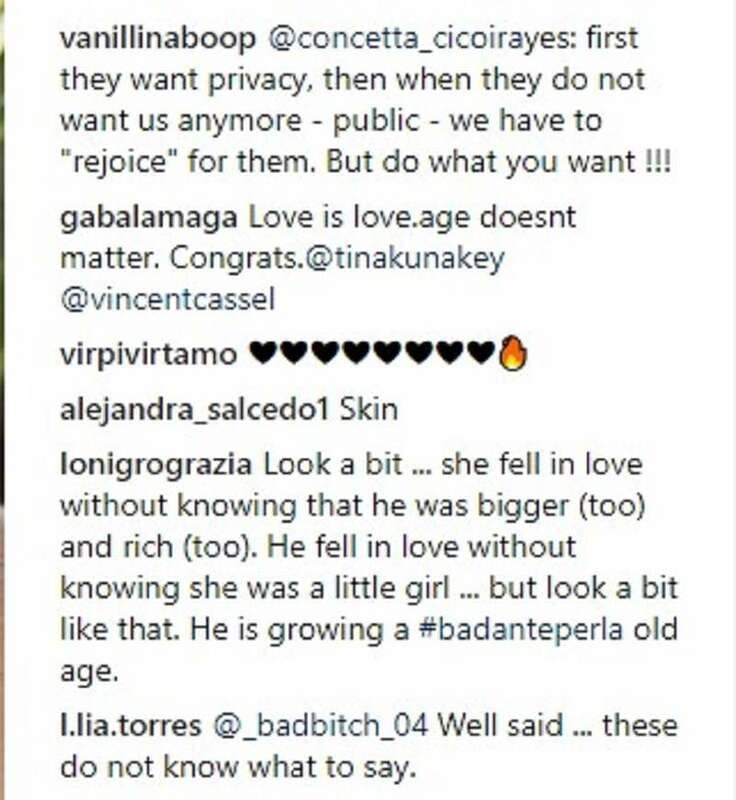 Some fans feel moving on from Bellucci was not a good idea for Cassel, while others say the age difference between the Italian star and his sweetheart is a lot. Cassel and Kunakey are not the first celebrity couple defying the odds of age to be together, and these kinds of reactions are commonplace. However, they seem happy together, and we wish them all the best in the future. The happy couple made an appearance at the Paris Fashion week and had heads turning by the dozen. 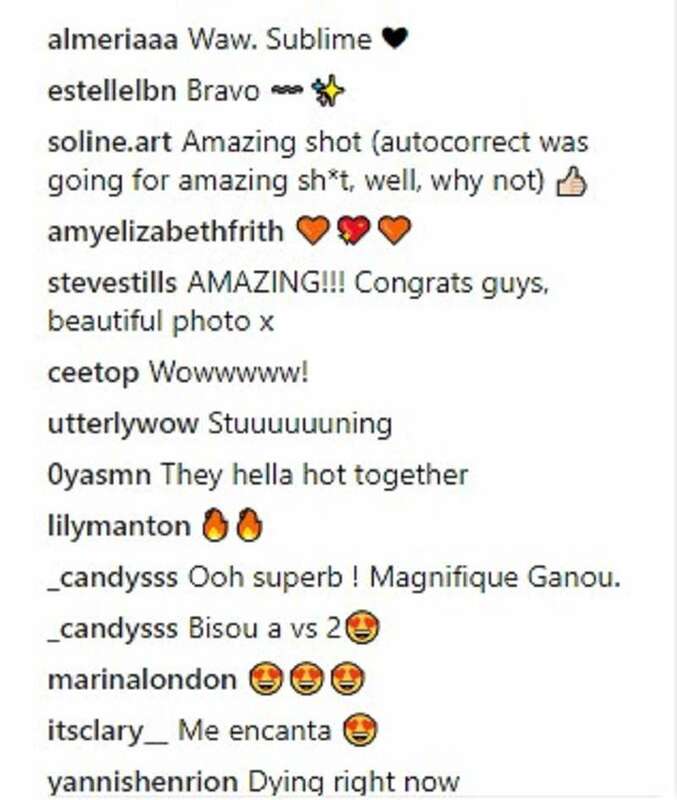 Here they are together at the Louis Vuitton Menswear Spring/Summer 2019 show as part of Paris Fashion Week on June 21, 2018. With their matching white and grey colors, Cassel and Kunakey looked the spitting image of love and could easily pass for models themselves. Kunakey is a budding model and is likely to receive a lot more attention due to her relationship with the actor. The beautiful couple often share pictures on their social media handles and they seem to having a lot of fun. On August 24, Cassel and Kunakey got married in a private ceremony at the city hall in Bidart, south-west France. We wish them all the very best in years to come.